It’s been 18 months since my arrival at death row. I came here with the belief that the older prisons had better programs. San Quentin is well over 100 years old, built in the 1800’s, so I expected at the very least that they would run a program equal to other CDR prison programs. I had heard the possibility of there being a humane death row where men could find avenues of personal growth, redemption and education; a death row where a man would be able to face execution as a human being, not as an animal in a cage. I came to death row believing I would be a condemned man subject to rules equally applied to all condemned people. I had expected to be treated in direct relation to my conduct, not my origin and race. Shouldn’t my actions dictate how I’m labeled? The law states that prison and the death penalty are the punishment. Prisons were not built to be a place to be punished. I am disciplinary free as are most men here. There have been no cases brought against me. I came to discover how easily the laws relate to man but sadly not how man relates to the law. Shouldn’t there be rules in place to help further positive inclinations and also give incentive to follow the rules? C.D.C.R. stands for the California Department of Corrections and Rehabilitation. The “R” was recently added. Since I am in their custody shouldn’t the “R” apply to me as well? 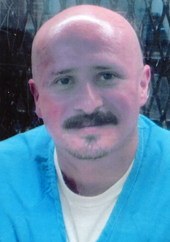 I was sentenced to be executed at San Quentin’s death row but the judge didn’t order the warden to execute my spirit and mind before it killed my body. Why is the system in the C.D.C.R. so focused on killing the human spirit? What do they think the beneficial purpose would be by doing that? Or maybe it being a benefit at all isn’t what matters to them. Maybe they want to inflict as much torture as possible under the letter of the law. Yes, it’s true I am a condemned man for a reason. But it is through any man’s deeds and the causes he makes that his deepest thoughts are revealed. Through the causes he makes he will feel the effects of his actions. It is also true, through reasoning and self-analysis, that man is able to scratch the surface of his being, trying to reach the depth of his mind to find out why he is the way he is. It is through books and studying that man can seek answers to these questions; what does it mean to be alive, and what does it mean to be human? What is the meaning of being alive, right now, at this time? What does it all mean? Why was he born into the life he has? How can he learn from the mistakes he made so he can grow as a human being? By seeking the answers to these questions he may also learn of the path he will take that will lead him to the answers. Until I started to seek these answers and discovered there was such knowledge, I only knew what I was told, saw, heard or experienced. That is common of all men. Some never reach outside themselves to question their existence. By studying various teachings I learned there were many questions I had never even thought to ask. I could now begin to learn how to live my life and how not to live my life. I may be on death row but I am still a man who has a life! Just being alive doesn’t give any answers to the problems of the living, so we must take the time to seek such answers. When it comes to books and studying I have a problem. There is a three book limit on how many books I can keep in my cell at one time. A dictionary and thesaurus take up two books. There is also only one property officer to pass out any kind of property to a hundred inmates, so that means there are weeks of waiting for the next set of books. All other California prisons have a ten book limit, as do the other death row inmates in the East Block, a different place than the block I call home. I came to death row with the expectation of being able to continue my search for human truths. Isn’t it true, if you show a man there are different trains of thought than the one he’s been on, he might change his old way of thinking for a more peaceful one? It’s part of being human to seek and gain more experience. I’m referring to what sentient beings are made of, and what they are capable of being. There are many cultures with various ideologies. There are many religions that teach fabulous ways to live with a variety of ways to understand their God(s). There are many forms of knowledge in both the secular and religious worlds. In this day and age, where all this information is as easy as a click of a mouse on a screen, phone or tablet, the men on death row are not allowed to even have a library program, let alone college correspondence courses. I guess because we are on death row we shouldn’t want any of these things. There are also only very limited religious services. I’m in the A/C – Adjustment Center, which is a disciplinary building. I’m classified Grade B. Receiving a Grade A classification will get you privileges like contact visits, phone calls, arts and crafts and college courses. You can get four packages a year. On the main line you get those first, when you get here, and then lose them if you misbehave or don’t think as they want you to think. In Grade B, we automatically get no program until they decide you deserve to be Grade A. Chances of that happening are pretty slim. There is no set criteria to be classified Grade A. They grade you whatever way they want to grade you. Even those in Grade B in East Block have more privileges than we do here in the A/C who are also Grade B. In the A/C about 97% of us are not here because of disciplinary reasons. We haven’t done anything wrong. So why are we being disciplined this way? I look around and see the majority of the men here are Latino and those who are not have also been disciplinary free. Where’s the justification in the way were are being treated, a logical common sense justification? It’s only because we’re Latino, because I know that no one has been told of any reason! Many of the men have been here for 10-20 years for no good reason, except that they are Latino! (Sonni’s note: I received this writing from Armando shortly after we began writing. I read it. It was an eye opener for me as to the way people are treated on death row depending on your race. Over the past six months we have exchanged many long letters getting to know each other. What attracted me was reading his bio at writeaprisoner.com where he stated he was a Buddhist. I am also a Buddhist and I wondered what it was that led a man on death row to Buddhism. This particular writing has a deeper meaning for me now. I have found him to be very sincere and honest. I have enjoyed his letters. He has spent much time exploring the human psyche to understand what it was that allowed him to do the things he did that put him on death row. He had been in prison before but even that wasn’t enough to deter him from making the same kinds of mistakes that he had to know would land him back in prison. It wasn’t enough to make him dig deep to look for the answers as to why he thought that way of life was ok. He didn’t think to explore why he was the way he was. So he went back to the same life. Was it the connection to the people he knew? Was it a place where it felt like home? I have read many cases where the relationships were like family, and you don’t leave family behind. But it couldn’t have ended any different for him than it did. The environment we are raised in, our culture, is so deeply ingrained in us, that breaking away is not as simple as telling yourself that you are going to start a new, different life. You can’t just go to another place, start over, and think things will be different. We carry our causes with us. The same kind of people and events would be drawn into our life. For example, a woman with an alcoholic husband would draw another alcoholic into her life until the lesson she needed to learn, was learned. It took ending up on death row for Armando to begin his journey of finding the answers to his life. Does that mean it’s too late? He’ll never get out of prison. But can he become a better human? Yes, I believe he has. I also believe he can change his circumstances to one where he can continue to grow. Is he rehabilitated? Yes, I believe he has rehabilitated himself, contrary to everything the prison system has done to try and keep him from doing that. Do I think he deserves a chance to be put into the general population of the prison? Yes, but it would bring in an element that would make his studies a challenge. But could that ever happen? Not until there are major changes in how our prison system works. At the very least he needs to in a place where he can still have a life filled with possibilities. Does he deserve that after what he did that put him on death row? Yes, because continuing to punish him on top of putting him in solitary confinement won’t undo what he did. It won’t serve any purpose except personal satisfaction watching him suffer. But his learning to be a better person and using that to help benefit people in his environment is a positive cause for his life, like the far reaching ripple effects of dropping a stone into water. Who he is now should be taken into consideration when deciding if he should be allowed to have a program. Anything less gives much insight to the human nature of the people who have control of his fate.